We are also delighted to have contributions from insurance professionals from the Market, such as Paul Willoughby, Head of Innovation and Infrastructure at Beazley and Erik Johnson from the Inclusion@Lloyd’s Committee. Do also read the fascinating article from our own Oscar Padilla on the challenges and opportunities of finding the right role in the London Market. Any insurance practitioner is welcome to join London Market Forums, without charge, and attend our numerous educational and thought provoking sessions, as well as our social drinks gatherings. It's a great place to keep in touch with news, hear from leading speakers and expand your network in a marketplace where the power of face to face relationships is as important now as it was when Edward Lloyd's opened his coffee house in 1686. 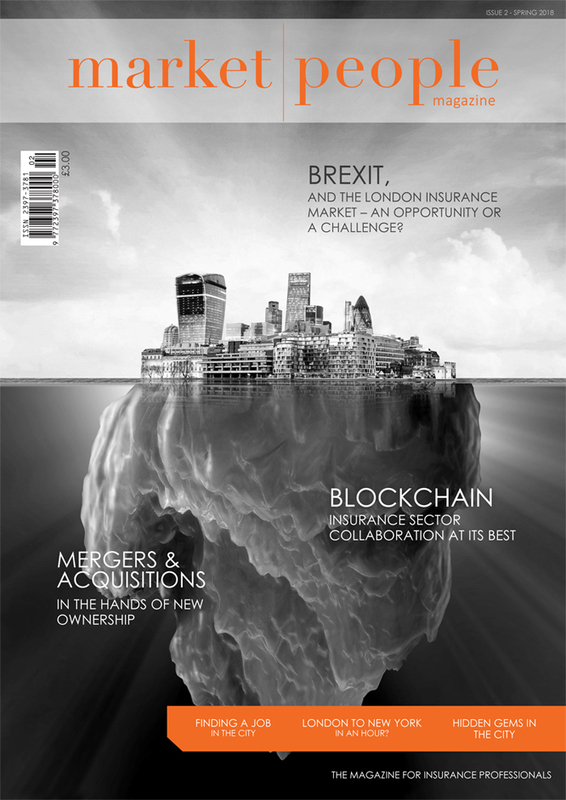 We hope you enjoy this magazine, produced especially for the people of the London Insurance Market.